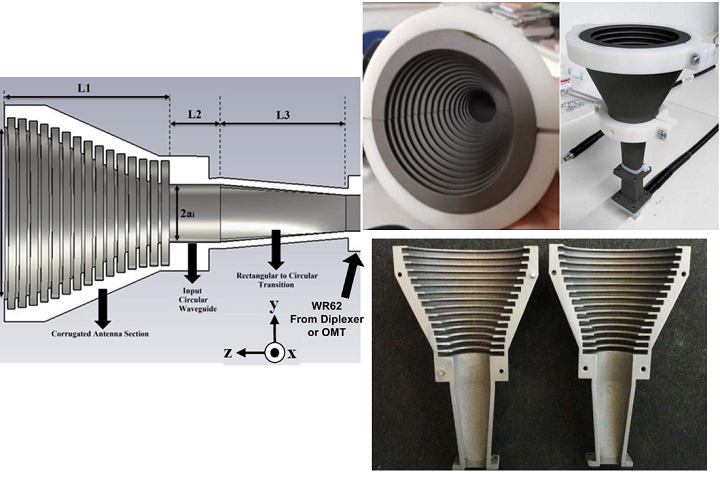 One name that comes up frequently in desktop 3D printing is that of Netherlands-based Ultimaker. 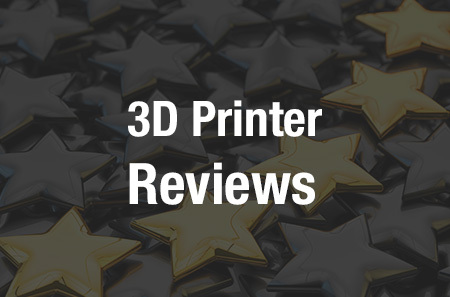 The company is well known for their reliable 3D printers, along with their steadfast Cura software. Back in May, as I talked with the Ultimaker team at RAPID, they learned that I had not personally used one of their 3D printers, and we soon made arrangements for a review unit. While months have passed — and, indeed, the company has since released their highly-anticipated Ultimaker 3, which has now made its way to another member of our team for a hands-on look — I did receive and have tested the capabilities of the Ultimaker 2+ 3D printer. Even with the next-gen model now on the market, the 2+ remains highly relevant in desktop 3D printing. And I loved it. The Ultimaker 2+ (and 2 Extended+) were themselves released at the beginning of 2016, and quickly grew quite a following. The company made it possible for owners of the earlier generation Ultimaker 2 to update their machines into the 2+ with an extrusion update kit, as well, keeping in mind that existing customers also desire access to the latest updates. Knowing Ultimaker’s reputation for strength in desktop 3D printing, I was thrilled when the box arrived at my doorstep. The Ultimaker 2+ arrived nicely packaged (they are, after all, known for security in transit, though my review unit did not arrive with a print in progress) — unboxing and setup were pleasantly straightforward. The Ultimaker 2+ arrived nicely packaged, and included a spool of silver PLA filament (I had requested “a fun color” and was pleased to be obliged), an SD card, the glass build plate, a spool holder, and a small accessories pack (including nozzles, a glue stick, small hex wrenches and a screwdriver, and a tube of lubricant). The 0.4mm nozzle was installed on the extruder, and the pack included 0.25, 0.6, and 0.8 nozzles to increase options in printing. As is standard for Ultimaker, the unit additionally arrived with a completed test print that had been done on this machine so I also knew that it worked. Admittedly I had a few small difficulties in initial setup; while the glass print bed was easy to install into place, I had a bit of a tough go of leveling it with the screws on the platform. A lot of this was user error, as I managed to turn the screws the wrong direction a few times despite the directions on the unit’s screen that guided me through. If you’re not great at twisting screws right the first time, beware pained fingertips. Ultimaker uses a calibration card to slide between bed and nozzle, and the instruction is to get it tight enough for there to be a bit of contact between card and nozzle. It did ultimately level and calibrate just fine, though, so I set it off and running with some of the test prints included on the unit’s SD card. This was a breeze, as the wheel on the front makes navigation through onscreen options simple and I just had to click over to the test prints and select one to get it going. After printing out the Ultimaker robot and a little voronoi-style heart, it was time to hit the bigger leagues — so I broke out a dragon. This model of Drogon from Game of Thrones took about 24 hours to print, and as the first print job longer than a half-hour, I kept a close watch on it throughout the process. Pencil for scale; I was out of bananas. With that dragon an unmitigated success, I proceeded to the next few creatures, including a voronoi-style dragon (an exercise in a lot of supports, and illustrative of my lack of patience in support removal, as I snapped his tail off during the removal process), a whimsical dragon, and an attempted Aria the dragon. It was here that I encountered my first failure from this unit. There were two prints I could not make work during my time with the Ultimaker 2+ — and I confess I did not put forth particular effort in ensuring I got them to complete through extensive settings tweakings, and called quits on both after two failed attempts each. Aria and the Golden Snitch would not work for me. I later repurposed the wings of the little Snitch that couldn’t in another attempt at making this Quidditch ball. For some reason heartened by the failed prints, I took the printer through what would be its biggest test: a highly detailed, fine resolution model from the Scan the World collection, I chose to 3D print the Pietà in St Peter’s Basilica. I made a major error in my enthusiasm and completely forgot to add supports in to the print. I realized this at about hour 30 of the 52-hour print job. There was no going back by then, so I sat back to see what would happen. I had set up this print to be the real “show me what you can do” test for the printer, and my mistake added to that mentality as the piece printed at the highest resolution and finest layer height possible, complete with an extra challenge level. Against all odds, the print completed — and very passably, at that. It did have some issues with initial layer adhesion, but recovered. Mary’s left elbow is significantly less present than it ought to be, but somehow the print continued and from printing spaghetti in mid-air, it got itself back on track; her arm was totally unsupported, but the top of it still came out perfectly. Similarly, Jesus’ dangling fingertips printed on nothing but are somehow all ultimately there. The unsupported areas are all noticeable (also including his hanging left foot and some fabric overhangs to the side), but all are there. With some cleanup, most of these areas would be nigh on unnoticeable. With the filament remaining on the spool, I also printed a clever drawer that prints in one piece and is very handy; a birthday gift for my husband made using the DIY quote tower to include our wedding vows; and a ton of extra test print voronoi hearts for Christmas gifts for my nieces and nephews (who thought they were really neat). While overall I printed only one piece that included moving parts, the entire experience showed how smoothly an Ultimaker 2+ would translate for use in prototyping and other business applications. Spending an extended time with this review unit provided me with hands down the smoothest experience I have personally had using a desktop 3D printer. I was very sorry to box the unit back up, and if I’m ever in the market for a high-quality, but not necessarily consumer-friendly-priced, 3D printer of my own, I know where I’ll be turning. The Ultimaker 2+ retails for $2,499; the larger 2 Extended+ is available for $2,999. Discuss in the Ultimaker 2+ forum at 3DPB.com.